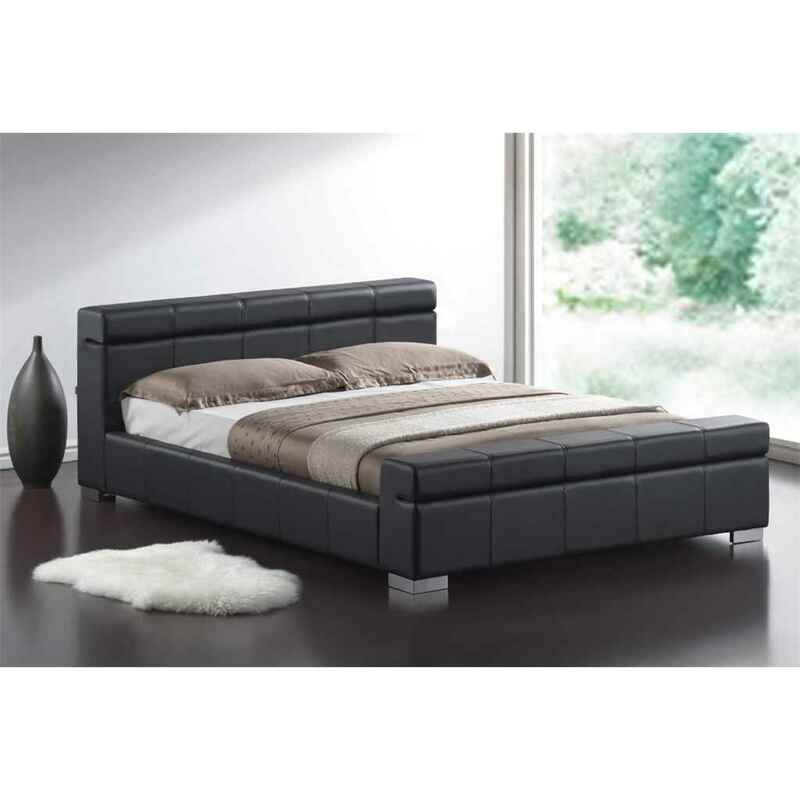 Black Cubed Sleigh Faux Leather Bed Frame - Double 4ft 6"
This black bed frame has a striking modernist cubed sleigh design which is finished with high quality faux leather. It has a sprung slatted base for extra comfort and mattress preservation. The bed frame is also available in Stone colour and in King size.